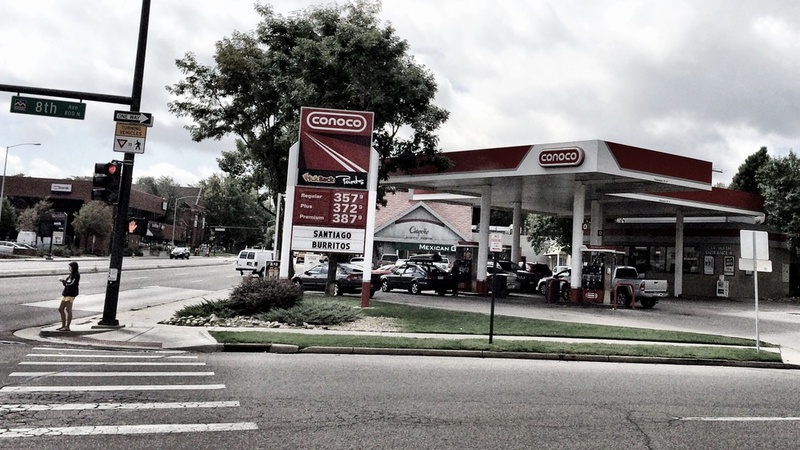 The lady at the Conoco on Colorado Blvd reminds me of my grandmother. I think it's her voice and her body structure. Twice now I've noticed that she has a tattoo on her neck, and today I got a good look at it. The letters are about 1/2 inch tall and it's dark blue. Simple, just one word, all in caps, "SPLIT." "Is there a significance to split?" I asked. "I was young and dumb and rebellious and there was no meaning to it, but thanks for asking," she replies. "Oh, I guess that happens," I say with a smile. As I began to walk away, she unexpectedly continued on, "but then later in life I was diagnosed with split personalities, so maybe it was foretelling." Before I could respond she was helping the next customer in her line. I'm forced to wonder what her story is, and what she has been through. She's nearing retirement age, working at Conoco, the word SPLIT written on her neck. One thing is clear however. Mental illness is everywhere. I wonder if she had been treated earlier in life if she would have ended up working at a gas station in her golden years.